emerging from their frozen features. whose formula has been lost to the jungle. Crackers, they all say, lighting the shadows that hover. The voices have spoken. I am their emissary. in today’s overcast, shining like a blind eye. just a hedge against high blood sugar. they will ever know, or need. 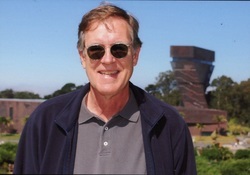 Will Walker lives in San Francisco with his wife. He is a former editor of the Haight Ashbury Literary Journal. His collection of poems, Wednesday after Lunch, is available on Amazon.